NOTE: If you are also taking the SAT Math Level 1 or Level 2 Subject Tests, I recommend checking out the All SAT Subject Tests Courses Bundle, which includes this course and other Subject Test courses at a significant discount. Or, if you just want the Chemistry course, you can purchase this single course on this page. Just scroll down! “With Rob’s helpful videos, I received an 800 on the SAT Chemistry Subject Test. The clear, concise explanations really helped me understand my mistakes and correct them on the test!" how to master the three question types: classification sets, multiple choice, and the tricky relationship analysis (True/False) questions. study tips for making the most out of your study time and preparation. when to guess and when to omit. anticipating and learning the "factoids" that the College Board loves to test with help of the SAT Chemistry Factoid Sheet. For a full listing of the curriculum and sample videos to view, check out the lecture titles in the syllabus below! Unlimited access to free course UPDATES. These courses are living, breathing entities. I will be adding to them and modifying them as I improve my own teaching skills and knowledge of the test. Your one-time course payment entitles you to lifetime access to course updates for no additional fee. Access to the course on all devices. View the videos on any device - desktop, laptop, tablet, or smartphone. As long as you have an internet connection, you can study with Reason Prep! Support from Rob. Students enrolled in the course can leave comments and questions on each lecture - I respond personally to each one! In addition, enrolled students can contact me directly through email for more general or personal questions relating to the test. I take student feedback into consideration when designing and updating my courses. 30 Day Money Back Guarantee. I'm confident you'll see massive score gains if you use the videos diligently and thoroughly. But if you are dissatisfied with this course for any reason, contact me within 30 days and I'll refund you every penny - guaranteed. I’m Rob, the founder of Reason Prep, creator of these videos, and your test prep tutor. 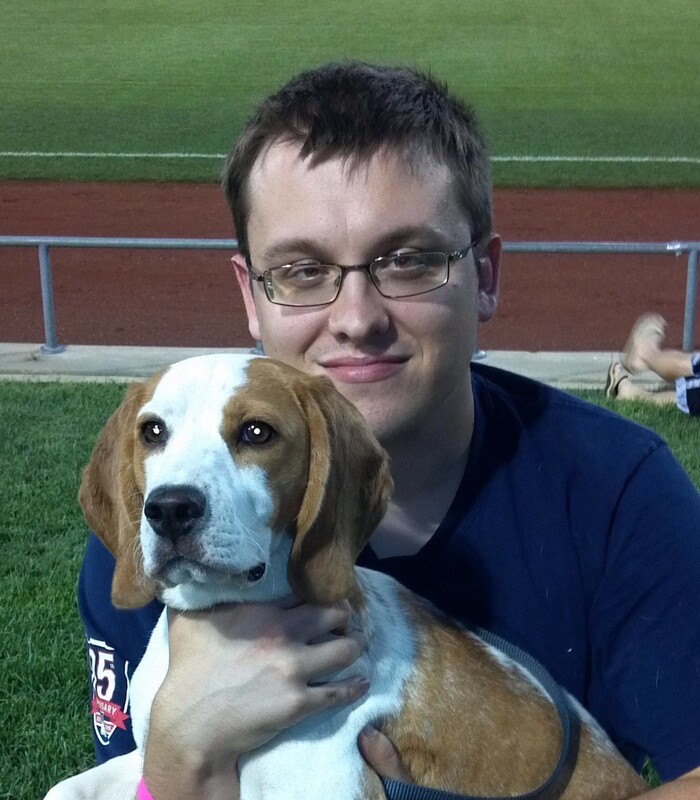 Also pictured is my beagle, Mr. Pibb. He didn’t help with the site that much, but maybe he’ll star in one of my videos one day. I earned a BA in Chemistry (2006) and an MA in Science and Technology Studies (2009) from Cornell University. In 2010 I started tutoring SAT, ACT, math, chemistry, and writing full-time, and Reason Prep followed shortly after! 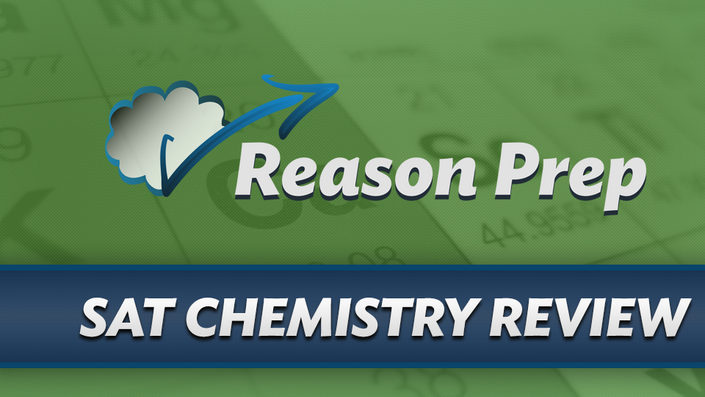 “My experience with Reason Prep was crucial in developing the skills needed to perform well on my SAT exams. Rob was always there whenever I needed remediation for my weakness or if I was bothered by a minor question. He’s helped me improve my Chemistry subject test by 170 points and my Math + Critical Reading scores over 130 points just in the course of 3 months. I can’t say enough about the efficiency and productivity that Rob always brought to every session he held with me. The videos were certainly excellent, but knowing Rob as a person through a one on one tutoring program has led me to see the passion that he displays for assisting students in the college admissions process. Thank you for your help Rob!" I have never taken chemistry. Will this course help? This course assumes that you have taken at least one year of high school chemistry. (Honors or AP level is even better.) While I do work through all the major concepts that will appear on the Subject Test, a basic level of background knowledge is required. Yes! You can learn more about Reason Prep's scholarship program by clicking here. The course comprises 14+ hours of video content in over 300+ videos. If you work for an hour per day, you should be able to complete this course in about two to three weeks. How many points will I increase if I use your course? Can my friends or family use my account? Please limit the use of your account to your household. It's fine for parents and siblings to share the account, but extended family (e.g. cousins) and friends should purchase their own account. Unauthorized account sharing may lead to account termination. Note, however, that you may use the course on any device that you own anywhere you like! I have a question - how can I contact you before I purchase? In short, I've distilled down all my SAT Chemistry knowledge into these videos to give you the most comprehensive and effective SAT Chemistry video course you'll find anywhere. The one-time fee is less than what you would pay for a half hour of my time. And you're getting EVERYTHING - all my knowledge, all the tips, tricks, and strategies. I'm not holding anything back. You've got nothing to lose - and a lot of points to gain - so join today!